Home >> Daily Dose >> Are Tax Reforms Worth the SALT in High-Priced Markets? Are Tax Reforms Worth the SALT in High-Priced Markets? 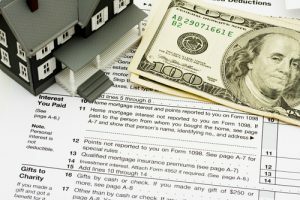 An analysis released by real estate insights and analytics firm HouseCanary, has estimated the effects of the tax reforms bill on the housing market across major metropolitan and suburban areas (MSA) especially when it came to mortgage interest rates and the state and local tax (SALT) deduction caps. To understand the impact on mortgage interest rates, the analysis examined loans originated in MSAs that had homes priced in the $750,000 and $1 million range and found that the tax bill would affect around 6.4 percent of loans with a total lost deduction benefit of around $287 million. The report indicated that while the decision-making of people looking at buying a million-dollar home wouldn’t be really affected by this change, the average estimated household impact in the top 50 MSAs would be $ 1,950 per year or $162.50 per month. The report said that homes in this price range would become more unaffordable as the new tax law was decreasing the amount of mortgage interest that a household could deduct on its annual taxes and buyers of homes in the price range of $750,000 to $1 million wouldn’t be able to deduct at least part of the mortgage interest paid on a new home. Additionally, the report noted that of the 50 MSAs analyzed by HouseCanary, 10 represented 82 percent of the lost mortgage deduction benefit and all of them were already struggling with affordability issues, because of the prevalent high prices in these areas. They included areas in California, New York, Washington, Maryland, North Hampshire, Arizona, and Florida. The report said that homebuyers in these markets would need to reassess their spending levels, cut corners or opt out of the market if the homes they were reaching to buy became increasingly unaffordable. Smart buyers and investors would prioritize, keeping their fingers on the pulse of the neighborhood and even block areas where they hoped to own homes. With the tax bill capping SALT deductions at $10,000, The report also saw potential impact on home buying in regions where homeowners were paying relatively high taxes on their properties. It said that in high priced MSA this tax change could provide homeowners with an incentive to move to a different city, county, or even state. The report found that 66 of the 3,134 counties across the U.S. could expect some fallout from the cap because of the relatively high SALT rates. Most of these counties are in the California, Washington, and New York region.